Faculty and staff interested in attending Curriculum Committee meetings should contact the Committee Secretary, Candace Miller (candace.miller@queensu.ca), for information relating to agenda items and meeting schedules. A meeting of the Curriculum Committee was held on April 26, 2017. To review the topics discussed at this meeting, please click HERE to view the agenda. Faculty interested in reviewing the minutes of this meeting can click HERE to be taken to the Curriculum Committee’s page located on the Faculty Resources Community of MEdTech Central. Students interested in the outcome of a decision or discussion are welcome to contact the Aesculapian Society’s Vice President, Academic, Kate Rath-Wilson at vpacademic@qmed.ca. How would you like to have been young Albert Einstein’s teacher? Walter Isaacson’s excellent biography, “Einstein. His Life and Universe” provides some intriguing glimpses of the great physicist’s early education that should be of interest to anyone involved in teaching gifted and naturally curious young people. 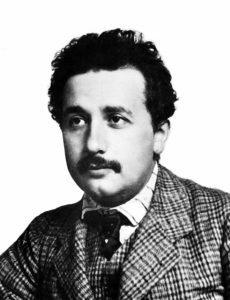 Popular myth holds that Albert Einstein was a poor student in early life. Apparently not so, but it appears he was certainly an uninspired and disengaged student. In fact, he failed to gain entrance to the Zurich Polytechnic on first attempt, failing to pass the general section of the entrance examination, which included sections on literature, French, zoology, botany and politics (as might be expected, he did well in the science and math sections). 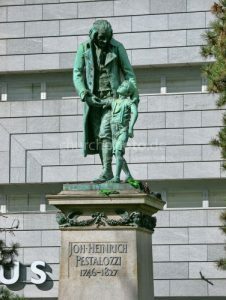 Pestalozzi memorial in Zurich. “Founder of New Primary Education”. He felt learning should be rooted in performance and lived experiences, thus emphasizing participatory activities such as drawing, writing, projects and field trips. Albert Einstein in 1904 (age 25) while employed at the Patent Office in Bern. conventional academic university environment, which he found too restrictive and inflexible. Instead, he chose to take a fairly undemanding job in a patent office, largely because it provided him time alone each day to think and document his evolving theories. In a remarkable few months in 1905, while employed in that way, he developed no fewer than five remarkable papers that literally changed how we perceive the physical universe, including early works on quantum theory and special relativity. His doctorate was granted based on that work, as was his Nobel Prize. Einstein, one might argue, is unique and it’s not reasonable to consider educational approaches for the masses based on such an example. It’s also very reasonable to observe that education, particularly at professional schools, must necessarily involve the learning of factual information and skills. Medical schools, in particular, have an obligation to ensure their graduates possess critical knowledge and can competently perform certain tasks. Consequently, a certain degree of pedantic delivery and directed instruction may be unavoidable. Valid points, to be sure, but I would raise two further considerations. Although Einstein was clearly a remarkable exception in many ways, the drivers of his educational process were qualities that are not unique but, in fact, common in our students – curiosity, imagination and a pervasive desire to understand the world around them. Secondly, it’s entirely possible to deliver factual information and have high performance expectations without stifling those critical personal drivers. Einstein’s teachers at Aarau obviously succeeded, not by diminishing the standards expected of him, but by additionally providing the latitude and encouragement to explore personal interests and learning. This required, on their part, a certain degree of open mindedness to novel and unconventional ideas, a willingness to engage the student as an individual with valid and fresh thoughts, and the humility to concede that their approaches may require individual modification. 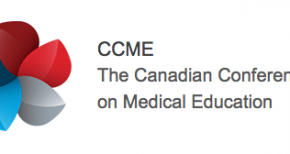 In medical education, we face these educational challenges on a regular basis. Our students, without question, need to acquire considerable factual information and technical skills. They understand and accept that responsibility. As their teachers, we share with them the responsibility to ensure they meet certain minimal standards of competence. However, they are multi-dimensional, highly-motivated and thoughtful young people who develop interests and ambitions beyond these minimal standards, and we need to support them in those pursuits as vigorously as we support the core curriculum. In educational parlance, this is termed “Independent Student Learning”, but if expressed simply as provision of unscheduled time students are free to use as they wish, the essence and potential of the concept is poorly served. It requires openness to new and innovative approaches to learning, even if outside standard curricular objectives. It requires institutional support and even encouragement for what might be termed “personalized” learning. It requires a (sometimes uncomfortable) engagement of what might be considered “destructive” innovation. At Queen’s we have a number of examples of student initiated learning that illustrate nicely the potential advantages that can arise from such innovations for both students and the school. The Barry Smith Symposium, now in its third year, was conceived by two students (now graduates), Drs. Adam Chruscicki and Steven Hanna. 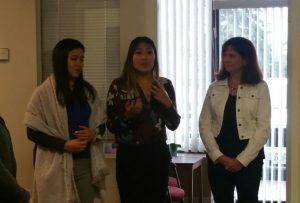 Dr. Alyssa Lip, also a recent grad, was instrumental in the development of our wellness curriculum and Wellness Week, which has been embraced by other schools. The Queen’s annual Global Health conference which has been running now for many years by successive classes arose from student interest, supported by engaged faculty. This past week, Maggie Hulbert and Ashna Asim of the first year class have come forward with an idea to develop an event to explore the role of the humanities in medical education that we’ll be jointly exploring, likely as a new symposium event available next academic cycle. For their part, students must accept the reality that medical education will require them to learn considerable material and demonstrate they have done so effectively. As faculty, we should support them in doing so, but also welcome support broader pursuits that both stimulate their genuine interests and can bring benefit to our school. By doing so, we’ll hopefully avoid driving imaginative and motivated young people to the Patent Office. 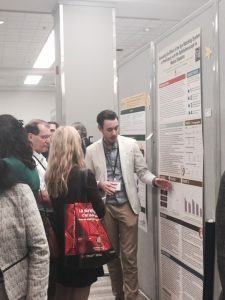 Queen’s UGME was well-represented in the oral and poster presentations at the recent Canadian Conference on Medical Education (CCME) held in Winnipeg, MB. Four oral presentations showcased UG work with another oral highlighting a teaching innovation in the QuARMS Program while a dozen posters featured Queen’s UG research and innovations featuring work by faculty, students, and staff. Next year’s conference is set for April 28 – May 1 in Halifax, NS. The abstract submission portal is already open. Find it here. At the end of each academic year, the graduating medical class selects faculty it wishes to recognize for outstanding contributions to their educational experience. This is always a difficult task for them, given the number and quality of the teaching faculty they encounter during the four-year curriculum. The most prestigious such recognitions are the Connell Awards. Named in honour of two former heads of Medicine and outstanding teacher/role models, these awards recognize three individuals who have, in the view of the graduating class, made outstanding contributions in classroom teaching, clinical teaching and mentorship. This year, I know the class had particular difficulty coming to final decisions, but I’m very pleased to announce that the awards went to three very deserving individuals who are all relatively early in their careers, already making tremendous contributions to our program. 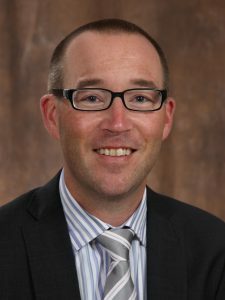 Born and raised in Thunder Bay, Ontario, Dr. Boyd received his undergraduate degree in Psychology from Lakehead University and his PhD in Neuroscience from the University of Alberta, where he studied the role of growth factors in peripheral nerve regeneration. In 2001 he moved to Kingston to do a post-doctoral fellowship in the Queen’s Department of Anatomy and Cell biology, examining the potential of glial cell transplantation to treat spinal cord injury. He stayed in Kingston to do his undergraduate degree in Medicine, which was followed by his residency in Neurology and fellowship in Adult Critical Care. He has been on Faculty at Queen’s University since 2013 as a clinician-scientist. His research interests are focussed on the neurological consequences of critical illness, cardiac surgery, and kidney disease. 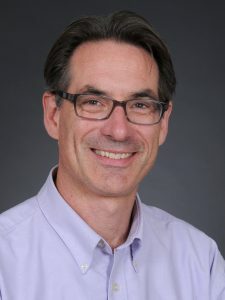 He also teaches at all levels of graduate and post-graduate medical education, on topics ranging from neuroanatomy to organ donation and has developed a well-earned reputation as a gifted teacher and mentor to students, both in the clinical and research settings. 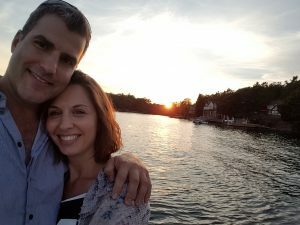 Dr. Franklin is also a Queen’s MD program grad (1998) having previously graduated with high distinction from the U of T HBSc program as an Immunology Specialist. He undertook his residency in Otolaryngology at Western University and went on to do a fellowship in head and neck oncology and microvascular reconstruction at U of T. He returned to Queen’s in 2013 to take on a lead role in head and neck surgical oncology. He and his wife, Kristina Polsinelli have three children, Nicolas (8), Alexander (7) and Talia (3) who Jason describes as his “claim to fame”. He describes his role as a Wellness Advisor in the undergrad program as his “most gratifying work”. Jason took on the role with great dedication and commitment. He has been a terrific advocate for our students individually, and participated effectively in our evolving Wellness curriculum. 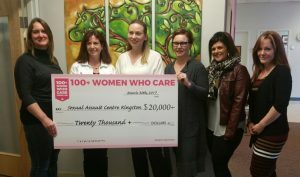 Dr. Milne is an Assistant Professor of Medicine at Queen’s University. She is originally from Durham, a small farming and industrial town in Southern Ontario. Prior to admission to medical school, she completed three years of undergraduate studies in physiology at the University of Toronto. She studied undergraduate medicine at Queen’s University graduating in the class of 2008. She went on to pursue post-graduate medical studies in Internal Medicine at Queen’s University and graduated with a Fellowship in General Internal Medicine in 2012. 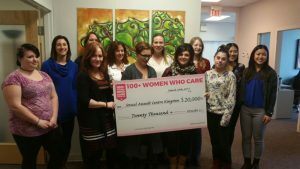 Immediately after graduating, Dr. Milne worked as a general Internist in the community at Belleville General Hospital. 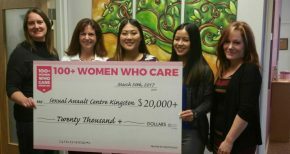 She returned to Kingston General Hospital in early 2013 as a fulltime GFT faculty member in the Department of Medicine. Since returning to Queen’s she has pursued her clinical interests in General Internal Medicine, Resistant Hypertension, and Stroke Prevention. She enjoys her work in the Undergraduate Medicine Program initially as a tutor for the Term IV Clinical Skills Course and, subsequently, as course director. She is currently course director for the Core Internal Medicine Clerkship Course. She also organizes the Internal Medicine yearly OSCE exam for the Postgraduate Medicine Program. Dr. Milne brings that quality of “common sense competence” to her clinical, teaching and administrative roles. In a short period of time, she has earned tremendous credibility among the students and respect of the curricular leadership. Dr. Smith graduated from medical school at the University of London in 1990 and worked in the UK for several years before moving to the United States. He completed a 3-year residency in internal medicine at the University of Illinois at Chicago and completed a Chief Resident year before transferring to Cook County Hospital / Rush University for a fellowship in general internal medicine. He was an Attending Physician at Cook County Hospital for over 10 years and was intimately involved in the residency training program as an Associate Program Director. He was recruited to Queen’s in 2008 as the Program Director for the Core Internal Medicine program. He recently accepted a position as Head of the Division of General Internal Medicine. He performs most of his clinical duties on the clinical teaching units (CTU’s) and on the GIM consult service. His main interests are in medical education, evidence based medicine and clinical skills. He is widely regarded for his teaching, patient advocacy and mentorship to students. Please join me in congratulating these four outstanding medical educators. A meeting of the Curriculum Committee was held on March 23, 2017. To review the topics discussed at this meeting, please click HERE to view the agenda. Students interested in the outcome of a decision or discussion are welcome to contact the Aesculapian Society’s Vice President, Academic, Kate Rath-Wilson, at vpacademic@qmed.ca.